Chunky by name and by nature, Sagarmatha latest addition is a real 'hit' in every sense. Praised for her aromatic splendor and high yielding results, Chunky Cheeze really grabs your attention (and your nostrils). Beautiful to look at, she forms a Christmas tree shape, dazzling onlookers with her frosty buds. Everyone is going crackers for this 'Cheeze' and you will too. 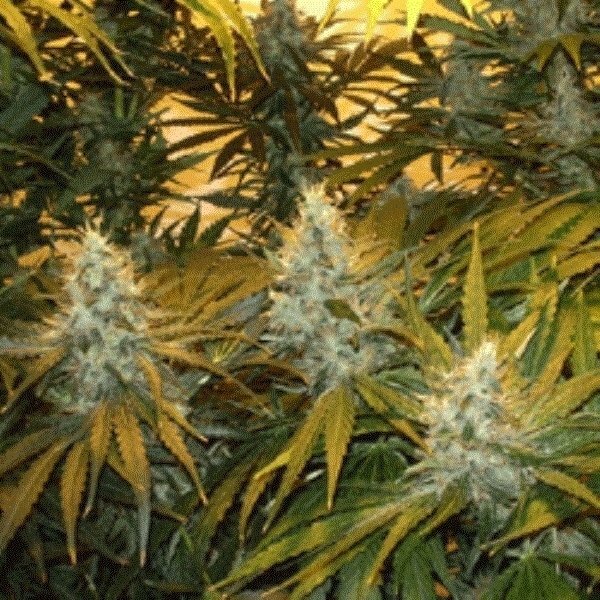 A potent skunk plucked from the original Big Buddha Seeds gene pool,has found its way into Sagarmatha Seeds extensive ganja catalog. Specially selected for her distinct aroma and her high yielding ability, Chunky Cheeze feminized is a nostalgic blast from an 80's past. Chunky Cheeze grows with vigor, speed and resilience, in both indoor and outdoor settings. On average, you can expect her to grow indoors to heights of 0.45-0.75m tall - meaning that she's a rather compact kind of girl. Glistening like a Christmas tree, Chunky Cheeze flaunts an abundance of frosty, sticky crystal balls; sure to get you in the festive mood even if it isn't Christmas. Guerrilla growers limited for space, will especially want to get their hands on this short marijuana marvel. With a flowering time of 55 days and an average yield of 300-375g/m², Chunky Cheeze has every base pretty much covered. Cannabis connoisseurs with a fondness for Skunk, will find this cup winner more than meets their needs (the same can be said for growers too). Spreading joy and happiness wherever she goes, Chunky Cheeze draws upon her Indica-Sativa genetics to unleash a superb skunky stone. One that will have you nice and relaxed, followed up with a slight cerebral buzz for good measure. Chunky Cheeze is the ideal strain to share with friends and family.